Poet Nikola Vaptsarov was shot on this date in 1942 for organizing anti-fascist resistance in Axis Bulgaria. A communist machinist — the Varna naval academy where he learned engineering is now named for him* — Vaptsarov — Vaptsarov was a proper proletarian poet who only ever versified on the side. 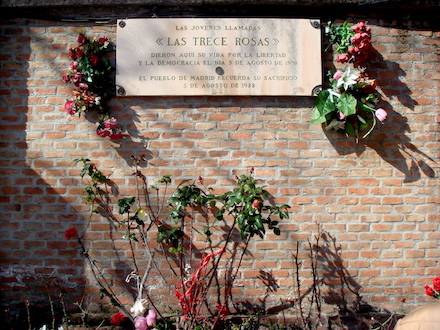 Nevertheless, he was well-known in his time and remains so to this day in Bulgaria, particularly given his political bona fides and martyrdom thereto, which bear ready comparison to Spanish Civil War martyr Frederico Garcia Lorca. What were you to me? a land of knights and high plateaux. now I live and share your fate. at all your victories in the fight. and my own strength with yours unite. on the outskirts of Madrid. from the cap pulled o’er his eyes. to check our young and bold desire. Sleep, my comrade, sleep in peace! and stir the peoples of the world. all working men to demonstrate. and shed their blood that men be free. The world is ours! Friend, have no fear! Vaptsarov published his lone book, Motor Songs, in 1940, which was the same year he was interned demonstrating against Bulgaria’s tenuous neutrality and in favor of alliance with the USSR. A few months after his release, the Third Reich forced Bulgaria into the Axis. 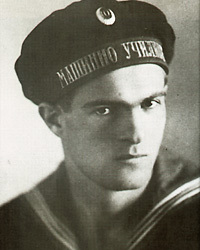 A member of the Central Military Committee of the Bulgarian Communist Party, Vaptsarov was arrested for doing just the sort of things that such a committee would be doing in 1942. A Selected Poems volume of his was published posthumously; it can be enjoyed free here. ** Perhaps the most moving entry is the very last one, a short composition dedicated to his wife just hours before his execution. The fight is hard and pitiless. 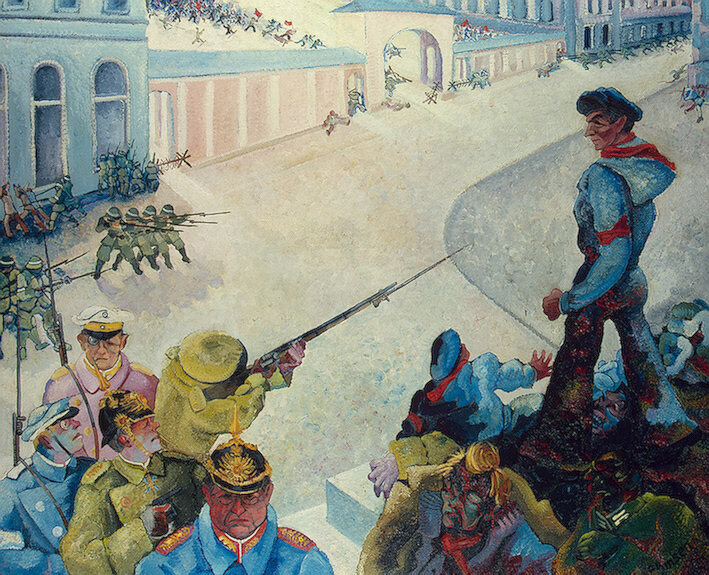 After the firing squad — the worms. Thus does the simple logic go. My people, for we loved you so. * You’ll also find the man’s tribute on the frigid slopes of Vaptsarov Peak on the Antarctic Livingston Island. More accessibly, there are museums to him in the Bulgarian capital of Sofia as well as Vaptsarov’s hometown of Bansko. ** Some other sites with Vaptsarov poems: here and here. On this date in 1931, Chiang Kai-shek had the former General Secretary of the Chinese Communist Party executed. Xiang Zhongfa was a dock worker unionist from Hanchuan who came to the fore of the workers’ movement within the CCP during the 1920s. The Party at that time was united in a common front with the nationalist Kuomintang — an alliance that was destroyed suddenly in April 1927 when the KMT leader Chiang suddenly purged the Communists. This split precipitated the generation-long Chinese Civil War through which the Communists would eventually come to master China. Soviet sponsorship had been essential to the CCP’s early growth. In the months after the KMT arrangement went by the boards, Chinese Communist leaders were summoned by the Comintern to Moscow where Xiang made a good impression on a hodgepodge Sixth Congress held “in the absence of key Party figures, such as Mao, Peng Pai and Li Weihan; and packed with Chinese students from Soviet universities to make up the delegate count.” (Phillip Short) Though he wound up the titular General Secretary, party leadership at the top level remained in the hands of other men, like Zhou Enlai and Qu Qiubai … while effective leadership in the field was largely in the hands of unit commanders themselves, like Mao. A rocky early trail along the party’s long march to leadership of China and beyond … but Xiang was not made to enjoy it. 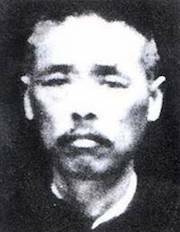 During the war, he was arrested in Shanghai by the nationalists, interrogated, and delivered to the KMT’s executioners in the early hours of June 24. Orthodox party historiography holds him in disgrace for allegedly betraying the cause to his captors, speedily and cravenly (his Wikipedia entry reflects this); there are historians who dispute this belief, however. 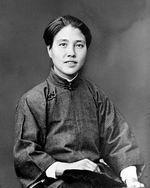 The Chinese Communist Xiang Jingyu was martyred on May Day of 1928. The preeminent female cadre of her time, Xiang was the 16-year-old daughter of a merchant when imperial China fell in 1911. She came of age, and radicalized, in the tumultuous aftermath, becoming an early advocate for women’s liberation as an essential objective of the revolution. She also became the wife of Mao crony Cai Hesen. Returning to China the following year, she became one of the Communist Party‘s leading voices in the women’s section, where she dunked on bourgeois feminism (“The result of their efforts will be that the whole bunch of them will enter the pigsties of the capital and the provinces where together with the male pigs, they can preside over the nation’s calamities and the people’s misforturtunes”) and gained only halting traction campaigning for girls’ education and mobilizing female factory workers. Her dour and driven demeanor earned her the nickname “Old Grandma”. The present-day Communist Party esteems her a hero. Death is our most modest gift to the people. Each death is a small window closing on nihilism. And each death is a panel of mystery closing on lies, corruption, poverty, and hunger. Thus, a window will open that lets in the light of life. Let us sacrifice our life for this light — this light. 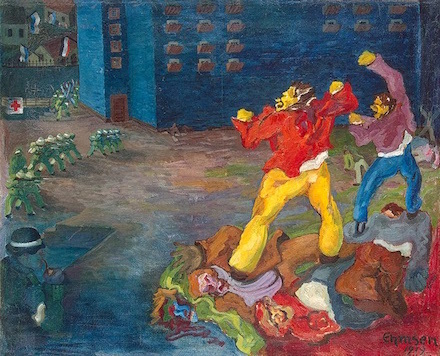 Khosrow Gol(e)sorkhi* and Keramat Daneshian, poets and revolutionaries, were shot on this date in 1974 by the Shah of Iran. Stock of a provincial family with ties to the Communist Tudeh party, Golsorkhi — much the more famous of the two — became a noted writer of radical prose and poetry in the 1960s and 1970s. Abdy Javadzadeh notes in Iranian Irony: Marxists Becoming Muslim that Golsorkhi’s lyrical self-vindication — one could hardly call it a “defense” addressed to the parameters of a court that he openly scorned — “spoke volumes on how Marxism developed within the Iranian opposition,” marrying the language of revolution with that of Islam. I will begin my talk with a quotation from Hussein, the great martyr of the people of the Middle East. I, a Marxist-Leninist, have found, for the first time, social justice in the school of Islam and then reached socialism. In this court, I am not bargaining for my life or even my life span. I am but a drop in the great struggle of the Iranian people … I am not bargaining for my life, because I am the child of a fighting people. The real Islam in Iran has always played its part in liberation movements … When Marx says, in a class society, wealth is accumulated on one side and poverty, hunger, and misery on the other, whilst the producer of wealth is the poor, and Ali says, a castle will not be built unless thousands become poor, we cannot deny that there are great similarities. This is the juncture of history in which we can claim Ali to be the world’s first socialist … and we too approve of such Islam, the Islam of Hussein. The more you attack me the more I pride myself, for the further I am from you the closer I am to the people. The more your hatred for my beliefs, the stronger the kindness and support of the people. Even if you bury me — and you certainly will — people will make flags and songs from my corpse. For his part, Daneshian kept to a more straightforward secular-revolutionary tone. Millions of people in the armed forces, without having an active role in society or production, are busy in a useless game … such force has no other purpose than the suppression of people’s voice of liberation. The shootings of farmers, peasants, and people’s fighters are their principle duty … Liberated people, social movements on their way to liberation, reverberates the news of shedding poverty, corruption and injustice in the world. Three others condemned with them were not so eager as our principals to embrace revolutionary martyrdom, and bent the knee to the Shah in exchange for their lives. On this date in 1950, South Korean police shot more than 100 alleged Communists on a hill outside Seoul. It was just one day amid a weeklong bloodbath that claimed a reported 800 or more, although December 15 was the one that helped to thrust the horrors into public consciousness in the West. These mass executions occurred in the paroxysm after the North Korean capital of Pyongyang — briefly captured by the United Nations offensive earlier in 1950 — was retaken by Chinese-supported Communist forces in early December. These were themselves only the most recent installment of numerous indiscriminate mass murders that had scarred the South Korean rear once Chinese intervention in the summer of 1950 turned the tide of the war. A South Korean Truth and Reconciliation Commission investigation from the 2000s estimated that the collective death toll of countless such executions could “conservatively” run to 100,000-plus: “the worst tragedy of 20th century South Korea,” as one commission member provocatively characterized it. In a Kafkaesque bureaucratic twist, many of those rounded up for execution were culled from the rolls of the “National Guidance League”, an organ set up by the Seoul government to re-educate former leftists. Enlistment to the League was incentivized by extra rations pushed by local officials with signup quotas to make, and that was just great for everyone until that same state decided to turn it into an expedient roster of fifth columnists. American officials directing the South Korean army downplayed all this as it was occurring. Even when the Korean War ended in 1953, South Korea remained under the dictatorial administration of its wartime president Syngman Rhee, whose commitment to strangling leftist dissent extended so far as hanging the presidential candidate of the Progressive Party. For many years the wartime massacres could be no more than murmured at. The chaos of war helped bring the executions to momentary prominence in December 1950, however, when western conscripts bivouacked down adjacent to the capital’s “execution hill” and were aghast to witness what was happening there. “A wave of disgust and anger swept through American and British troops who either have witnessed or heard the firing squads in action in the Seoul area during the last two days,” reported the United Press on December 17, 1950. (via the Trenton (N.J.) Evening Times of the same date) On Friday, December 15, those soldiers “were horrified upon seeing truckloads of old men, women, youths and several children lined up before open graves and shot down by South Korean military police with rifles and machineguns. I hope that our Government will convey to the South Korean Government the horror and detestation with which the people of this country have read the accounts of the wholesale execution of suspected Communist sympathizers. Your Correspondent says it is reported that some of the murdered women “carried babies on their backs.” If these barbarous executions continue, all sympathy with South Korea will vanish, and instead there will be a general demand that the forces of the United Nations should no longer be used to protect a Government responsible for these atrocities. I am glad to see that British soldiers on the spot already have shown their anger at these killings. South Koreans hauled another batch of prisoners to snow-covered “Execution Hill” this afternoon and shot them. Evidently to escape the eyes of angry American G.I.s and British Tommies, the prisoners apparently were forced to lie down in trenches where they were killed. The new executions occurred only two hours after U.N. observers had supervised an exhumation of bodies lying in four trench-like graves on the hill and after 29th Brigade Commander Tom Brodie had told his officers he was not prepared to tolerate further executions in his area. As layer after layer of bodies were disinterred from the mountain graveyard, Fusillier Capt. Bill Ellery, tall, moustached British officer, said coldly and precisely what all watching British and American troops were thinking. A South Korean apologized. 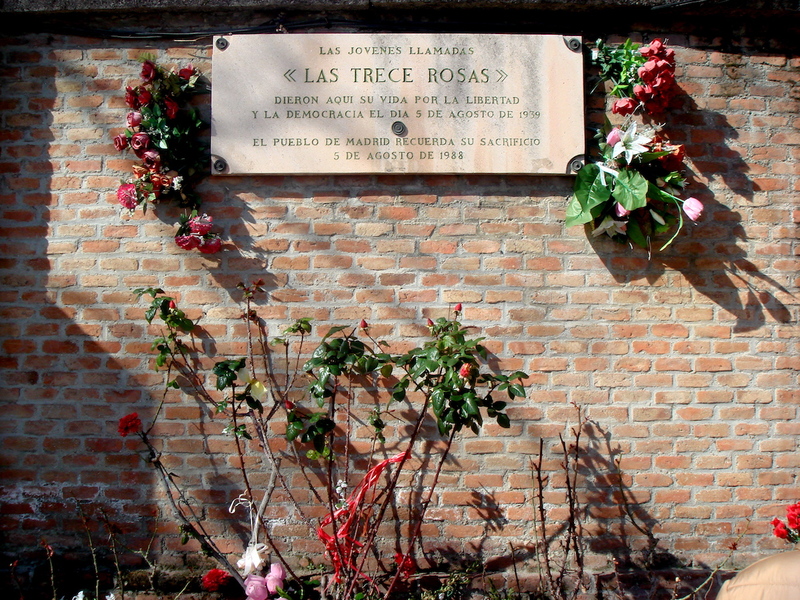 The prisons were so crowded with Communists sentenced to death that Execution Hill was the only solution. “There are so many to execute,” he said. An abatement of visible-to-western-press executions and the cosmetic expedient of a small Christmas amnesty appears to have stanched the immediate threat to homefront support for the war — which would continue for another two and a half years. 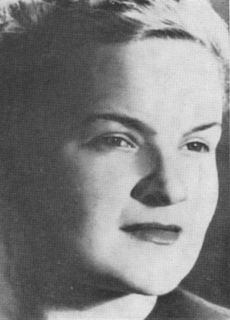 On this date in 1945, Slovene resistance member Majda Vrhovnik was executed by the Gestapo in Klagenfurt, days before the end of World War II. A University of Ljubljana medical student and Communist destined to be honored as a national hero of Yugoslavia, Vrhovnik (English Wikipedia entry | Slovenian) joined the underground resistance when the Nazis occupied Yugoslvia in 1941. She’d spend the bulk of the war years producing and distributing illicit anti-occupation propaganda but by war’s end she had been detailed to nearby Klagenfurt — a heavily Slovene city just over the border in Austria. 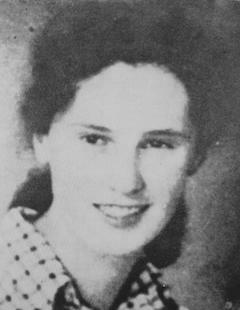 She was finally caught there and arrested on February 28, 1945, and shot in prison even as Klagenfurt awaited Allied occupation which would arrive on May 8. Her credentials as a patriotic martyr — there’s a Majda Vrhovnik school named for her — would surface her name in 1988 in connection with an affair that helped begin the breakup of Yugoslavia into ethnic statelets, when an opposition journalist published a censored article under the pseudonym “Majda Vrhovnik”.